If you're anything like me then you'll understand that there is the rest of the year and then there is Christmas! I'm beyond excited for Christmas. It has been an incredibly eventful fall and I'm so happy to say that I actually got almost all my DIY project plans done this month! And of course they were all Christmas themed projects so planning started November 1st. Some projects were a little more time consuming like the advent calendar or crocheted snowflakes I made, so I had planned a few projects that I knew would get done during Christmas movies. 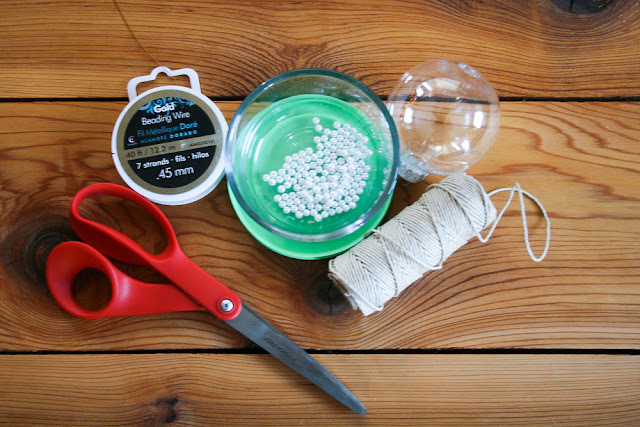 These clear pearl bead ornaments were just what I needed. Suuupppper easy in an instant gratification kind of way. It involved very few supplies and they were pretty easy to find...even in Northern BC (yep, I ordered nothing online). So here is how to make them. * Beads - really any kind but I used pearl beads that I found at walmart. 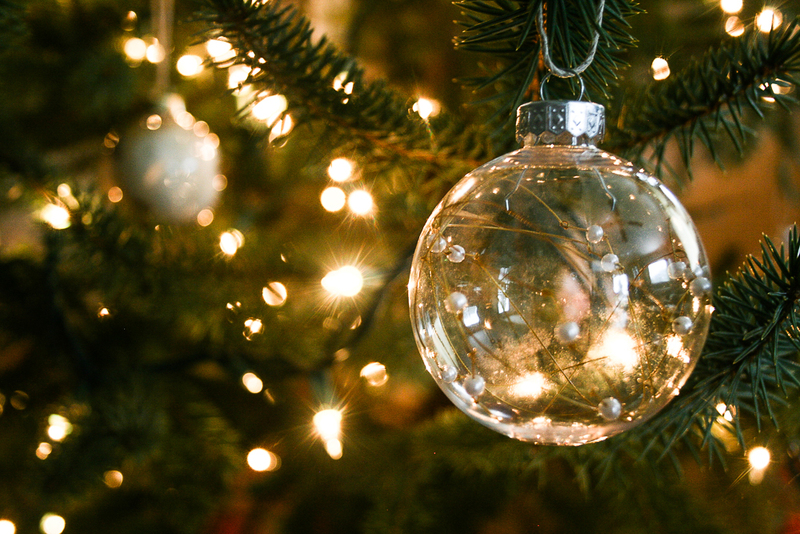 * Glass or plastic clear tree ornaments (also found at walmart). * Twine/Jute or other string. Step 1: Make popcorn. Just kidding, but every good Christmas movie needs a snack. 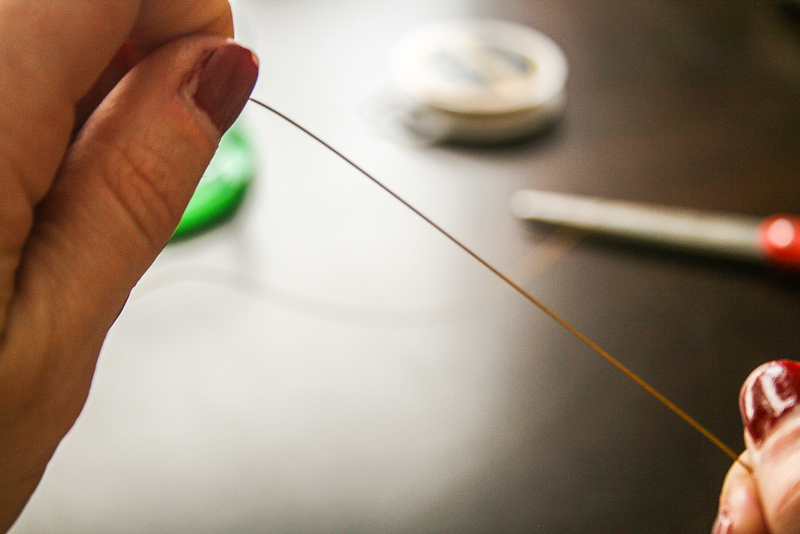 Start by simply cutting a long piece of gold beading wire. Any length will do. I started cutting longer and longer pieces because I felt that my ornaments looked more full with more wire and pearl beads in them. But if you want a more minimalist look then cut shorter pieces. Totally up to you. Step 2: Tie off a knot towards one end of your piece of gold beading wire. Give both ends a couple of sharp tugs to make sure the knot does not fall out. 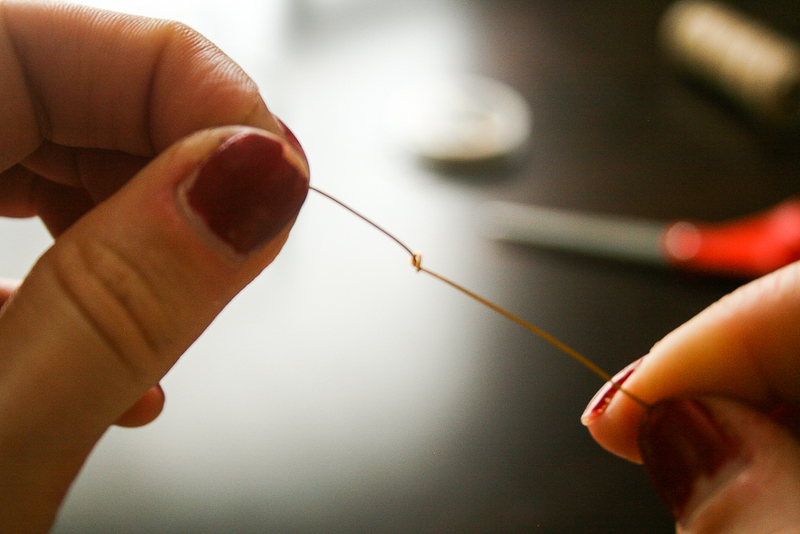 Step 3: Thread a bead onto the long end of your beading wire until it hits the knot. Then tie another knot as close to your bead as possible to make sure the beads don't all slide together on your beading wire. Step 4: (Sorry for the blur). 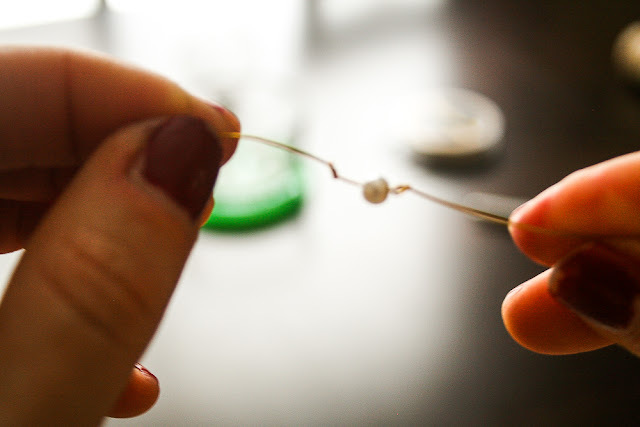 Leave some space further down the beading wire before you add another knot-bead-knot combination. Repeat this until you reach the end of your beading wire. 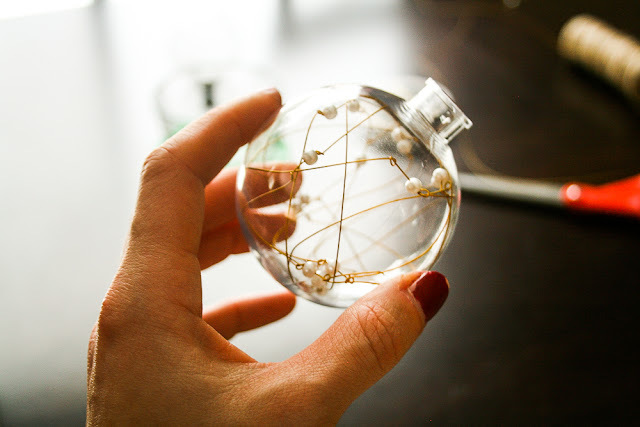 Then feed your wire into your clear ornament. Put the top back on with some string and its ready for your tree! I LOVE how these ornaments catch the lights on the Christmas tree. 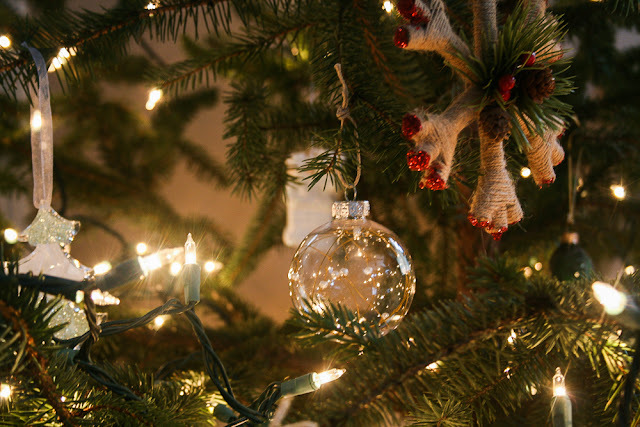 You can see both the beads and the knotted wire glistening on the tree. I made 6 in total and had them all done in an 1 1/2 hours. And I was taking my sweet time. I've had to restrain myself from running out to make more ornaments out of all the ideas flowing through my mind. Trying to keep a bit of balance for myself this Christmas season so I can soak it all up. Are you folks making any ornaments this year?! Please please please show me! I'd love to share your projects here as well! Merry Christmas guys!